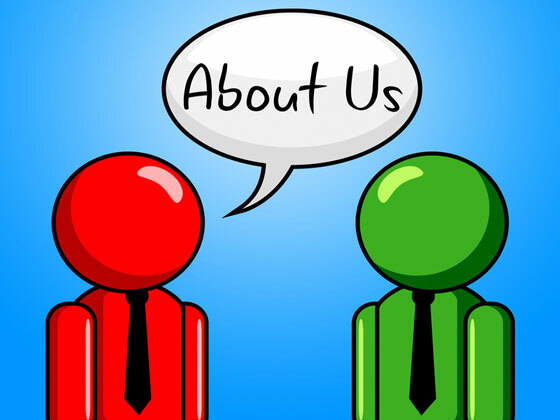 The About Us page of your website is where your audience will learn about you or your company, so it is imperative to know what it should contain. Obviously the type of information you include will vary slightly depending on the type of site you have (blog, informational, product-oriented, or service-oriented), but the following guidelines can help you create an effective About Us page which will properly introduce yourself and form a positive impression with your viewers. First, let's get some technical details out of the way. You should always provide contact information on your About Us page (or your Contact Us page), which may include telephone and fax numbers, email addresses, and a physical mailing address. Providing links to other places on the web that you can be found such as Facebook, Twitter, or other social media forums will go a long way in creating consumer trust and engagement. 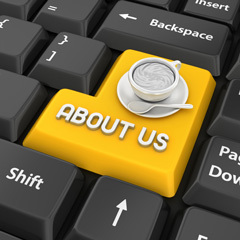 The main purpose of the About Us page is to let your audience know who you are and what you do. This is the place where you will talk about your skill sets or the experience you have to offer. If it is a business-oriented site, tell the audience how long you have been in business. People love stories and will feel more of an affinity to you and your mission if you include a little background on how or why the business or organization came into existence. Give the audience reason to believe that you or your business are particularly passionate and qualified to offer the product, service, or information found on your website. When it comes to creating the content for your About Us page, you may feel that your site is rather impersonal, but interactions on the web are more relational than you think. People want to connect with other people and audiences feel more positively toward a website when they know there is a human behind it. A personal photo can go a long way toward providing credibility and loyalty. In this same vein, your About Us page will be the most effective if it is written from a first person perspective, using "I" or "we". Showcasing your personality and even a sense of humor on your About Us page is perfectly acceptable and will not detract from your perceived professionalism. Use the conversational style of the About Us page to create a kinship between your audience and you or your business, and you will be well on your way to attracting and retaining repeat users who will appreciate what you have to offer. An alternate purpose for an About page is to describe a particular line of business, career, profession, or trade. These About pages are often found on niche directories. On this website, you can browse the tag cloud to find About page examples of both types. About Pages - What is an "About" Page?